I made clementine mousse using fruits from our garden. The zest is amazingly fragrant. 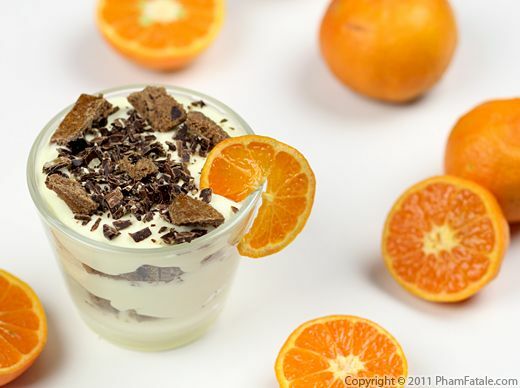 The exterior has such a deep orange color, I thought it would be perfect dressed as a parfait paired with French chocolate cookies we bought in Normandy. My husband Lulu and I brought a lot of delicious French food back home from our recent trip to Europe. The cookies in the dish are called "La Mère Poulard" chocolatine cookies. They are specialty cookies from the Mont Saint Michel region of France. My parents took us there on New Year's Day. 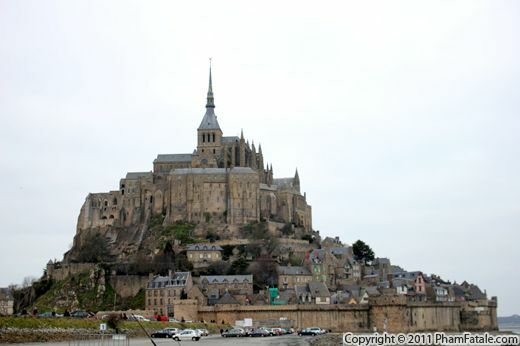 It's a rocky tidal island located in Normandy, topped with beautiful shops and a church. It’s a UNESCO World Heritage Site. While we were there, we had the region’s typical crêpes and of course brought back a few packs of cookies. If you’re in France and you have time, I recommend taking a visit.